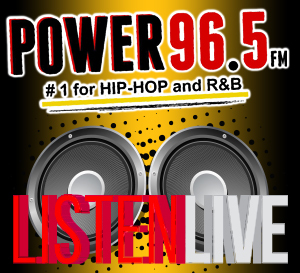 Go to www.power95fm.com and fill out the Power 96.5 Music Survey. Only participants that fill out all the info and complete the survey will be eligible for the contest. A total of EIGHT (8) $50 Best Buy Gift cards will be awarded between September 20, 2011 and March 14th , 2012. 1. Winners must present their full legal name and address and must present a valid form of identification and sign a waiver to claim all prizes. By signing the waiver winners grant MacDonald Broadcasting the right to use their name, voice, and or likeness without further compensation. 2. Winners must be at least 12 years of age. Depending on the prize, older age restrictions may be imposed. No purchase is required; prizes are non-transferable and have no redeemable cash value. Winner is subject to any and all taxes as per the Internal Revenue Service. 2. Unless otherwise specified, winners have thirty days from the date of winning to pick up their prizes at MacDonald Broadcasting offices located at 600 West Cavanaugh, Lansing, MI 48910, during regular business hours (8AM-4PM), Monday through Friday excluding holidays. Prizes are forfeited if not picked up in the allotted time. Any prize unclaimed after the date of an event is forfeited. 3. All cash prizes must be picked up at MacDonald Broadcasting offices at 600 West Cavanaugh, Lansing, MI 48910, during regular business hours (8AM to 4PM), Monday trough Friday excluding holidays. Winners must present a picture ID and Social Security card for verification. Cash prizes can be picked up beginning the following Friday of the week in which you won. 4. All contest winners will have a 30-day waiting period before they are eligible to win another prize on Power 96.5. 5. No employees of MacDonald Broadcasting Company & participating sponsor(s) may win prizes. No family members or household(s) related to any employee of MacDonald Broadcasting Company or participating sponsor(s) may win prizes. No competing media station(s) employee nor related family member or household may win prizes. 6. 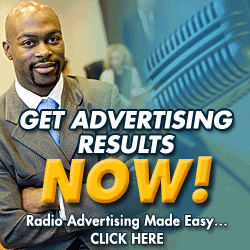 MacDonald Broadcasting reserves the right to make changes to all contest rules, failure to comply with all contest rules may result in disqualification.